Parallel 49 is only 3 years old. Parallel 49 has been Canada’s fastest growing brewery for the past 2 years. There are 50 employees at P49. 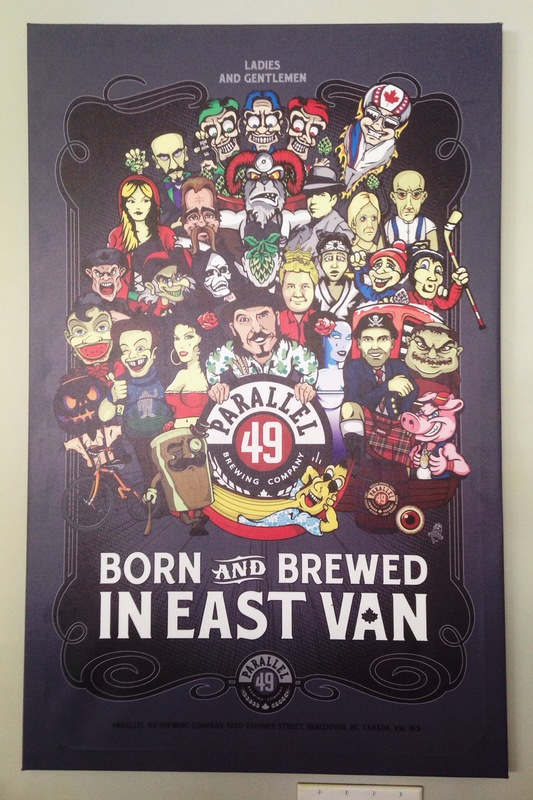 Parallel 49 pumps out approximately 10 000 litres of beer per day and 36 million litres of beer per year. Functioning at mass capacity, P49 once produced 40 000 litres of beer in a 28 hour time period. The brewery has the capacity to run for 24 hours a day. 3 Head Brewers of other Vancouver breweries were trained under Parallel 49’s Head and Lead Brewers. We drank a couple of brews right from the tanks! This entry was posted in bc craft beer and tagged bc beer, bc craft beer, brewery, brewery tour, east van, east vancouver, parallel 49, vancouver craft beer. Bookmark the permalink.